The Grosvenor Casino in Bournemouth is located in the exciting city centre - and for the locals that know the area it is just a short walk from the local cinema. The casino is open 24 hours a day, seven days a week, but it is worth nothing that it only applies for electronic roulette and slots. Table games can be played between 10 am and 07 am every day. Getting in is done by being over 18 and bringing photo ID to the door. One thing to keep in mind if you have visited this casino in previous years is the name change. Early in 2013 the people at Rank decided to buy up almost every Gala casino available and this one in Bournemouth was part of that deal. Even though a massive amount of things have not changed - yet - you should expect a slight difference if you are a returning customer. 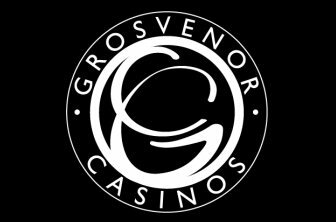 With that said - Grosvenor have gone to great extent to keep the regular customers happy at their new casinos, changing very few things over a longer period of time. So do not worry if you were a Gala regular - Grosvenor will do the venue proud both now and in the future. One thing that you will find fairly similar from what it used to be is the gambling floor. The Grosvenor Casino in Bournemouth offers a great range of gaming options. You can start things off with sitting down at any of the six American Roulette tables. With a bit of roulette out of way it could be nice to move yourself over to any of the five Blackjack tables. With two 3 Card Brag tables this casino a really good variety of games early on. Poker is also something that plays a big part of this casino and the four Texas Hold 'Em tables are usually very busy during peak hours. To finish off the tables we find a single Shoot Dice table as well as a Wheel of Fortune table. But things do not finish there - Electronic gambling is the new big thing amongst many UK casinos and this Grosvenor location has really kept up with the developments in modern gambling technology. A bunch of electronic gambling machines as well as a good range of slots are available to play if you fancy a good few games that are not available at tables. Grosvenor managed to inherit a really nice restaurant when they decided to buy up this casino. The restaurant itself is all about good quality food with a focus on basic meat and fish dishes. Grosvenor is not as good at sorting out restaurants like some of its biggest competitors - as they do not have a large brand to put in all their casinos. But in Bournemouth a good head chef and excellent staff keeps it up to par with some of the better eateries in the area - even without a gambling presence. The casino also offers a bar. Serving hours are until very late and you can get a really good range of drinks here. Cocktails are some of the most popular items on the drinks menu and if you are after an exotic drink this is the perfect place to go. If that is not for you then the range of spirits, wine and champagne available will most likely fill your alcohol needs. For people not looking to have a drink there are several non-alcoholic options that you can order as well. The leisure part is quite hard to put a finger on - mainly because of the new owners. Grosvenor are known for offering some good facilities for sports viewing and so on but we currently do not have any specific information on what you can do. If you want to find out more your best bet is to get in touch with the casino. Grosvenor Bournemouth holds regular poker tournaments in its dedicated Poker room. The times vary quite a lot and so does the buy-ins and guaranteed money you can win. If you are looking for a good few events then there are few better places in Bournemouth to go. Since its Gala days the casino also offers a nice range of tournaments for Blackjack and other casino games. However, it is uncertain if they will keep going for much longer. Your best bet would be to go on the Grosvenor website for the latest updates on event and tournament dates. In terms of promotions the casino is connected to most of the larger ones offered by the Rank group. Make sure that you sign up for a loyalty card early on so you can earn points and possibly get some nice rewards further down the line. Food and drinks promotions are also fairly regular and worth looking out for on the website too. This is a casino that has been around for quite some time and has a solid customer base. One of the main reasons for a casino managing to have this is that they are constantly making up new ways to keep the gamblers around. Innovative and exciting casinos such as this are always nice to gamble at and the friendly atmosphere rubs off very quickly. With a nice restaurant and a really good gambling floor you cannot ask for much more from this Grosvenor venue. It is easy to find and with the 24 hours a day opening times it is somewhere you can always visit and have a good time when you feel like it. Another big plus is the dedicated Poker section where you can play both cash games and tournaments every single day.